What is Cellucor Super HD? 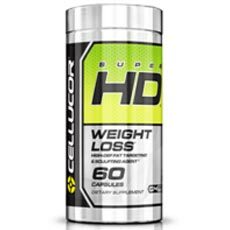 Cellucor Super HD is a weight loss and fat burner supplement which is intended to help you see yourself in “high definition” – muscular definition. It contains a range of nutritional supplements intended to encourage your metabolism and support the energy and motivation levels that can make the difference between success and falling short of your goals. While it is available from a range of online retailers, the manufacturers sell it in two sizes – a bottle of 60 capsules is $30, while a bottle of 120 is $40. Who is the Manufacturer of Cellucor Super HD? 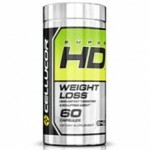 Cellucor Super HD contains a range of ingredients, too many to easily summarize, but there are two main goals for the supplement: one is to encourage “thermosculpting” by increasing your metabolism and increases the amount of energy your body burns on a daily basis, which can help you drop unwanted weight. The other is a “sensory impact” blend, which is meant to stimulate your mind and energy levels. The entire product is packaged with the expectation that you’ll take about two capsules per day, which makes it easy to work in to your daily habits. Cellucor Super HD Ingredients – Are they Safe & Effective? Vitamins – The B-vitamins, including Vitamin B6, B12 and Niacin, are included to promote metabolic health. Amla fruit extract – A natural fruit also known as Indian gooseberry, containing several active compounds intended to support mental clarity. Caffeine anhydrous – A stimulant found in coffee, tea and many other sources, included her to help stimulate the metabolism and provide energy. What are the Advantages of Cellucor Super HD? Contains a large quantity of vitamins and minerals. Sold in a range of retail outlets, so you can shop for the best price. Discounts for bulk purchases are available. What are the Disadvantages of Cellucor Super HD? We don’t have any scientific evidence to back up the claims being made for this product. Amount of most ingredients of the product isn’t listed. Product contains a considerable amount of caffeine on a per-capsule basis. The ingredients in this product are largely sourced from natural plants. It is meant to be a helpful aid for weight loss. While it is possible it may facilitate gradual weight loss on its own, it is not intended as a substitute for good health habits, a healthy diet or regular exercise. It is not meant for people under 18 years of age. Take one capsule in the morning with water, and another capsule five or six hours later in the mid-afternoon. You can take two capsules in the morning if you need the additional energy boost. The makers state that you should not take more than three capsules per day. How much caffeine is in this product? Each capsule of this product contains 160mg of caffeine, which means that if taken as directed you will consume about 320mg of caffeine, as well as any additional derived from the green tea or other ingredients. While this is not specifically claimed, all of the ingredients listed appear to be either synthetic or plant-based. Cellucor Super HD presents itself openly, with a full ingredients list and simple terms of money for product instead of complicated trial/subscription programs. While those ingredients are described, still no clinical information to make us think this is more than a caffeine and B-vitamin pill. You may want to look for a fat-burner and weight loss supplement that you can put more faith in, and time spent shopping for the best deal is never time wasted.